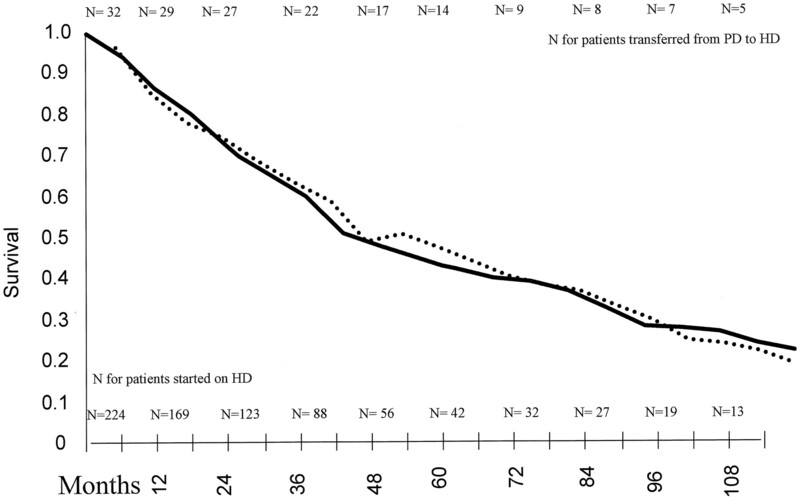 aDemographic data and comorbidity factors for the total population, HD and PD patients. 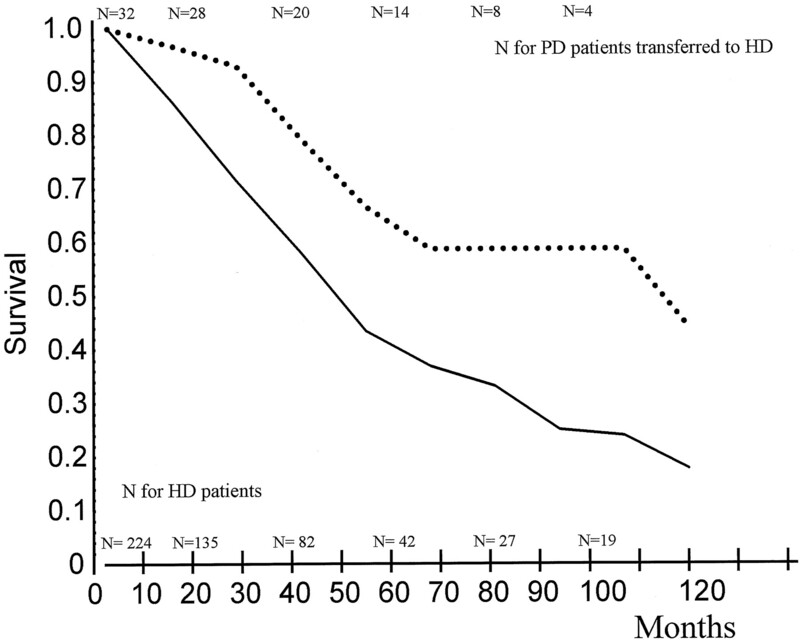 HD, hemodialysis; PD, peritoneal dialysis; COPD, chronic obstructive pulmonary disease; NS, not significant (P > 0.05). Significant P values are printed in bold. 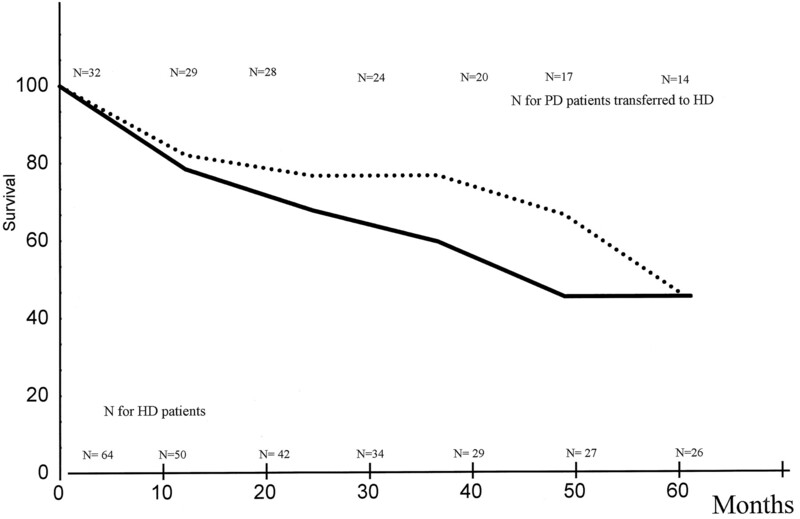 aDemographic data and comorbidity factors in all of the transferred patients versus all of the nontransferred patients and in the patients transferred from HD to PD (HD → PD) versus the patients transferred from PD to HD (PD → HD). Significant P values are printed in bold. 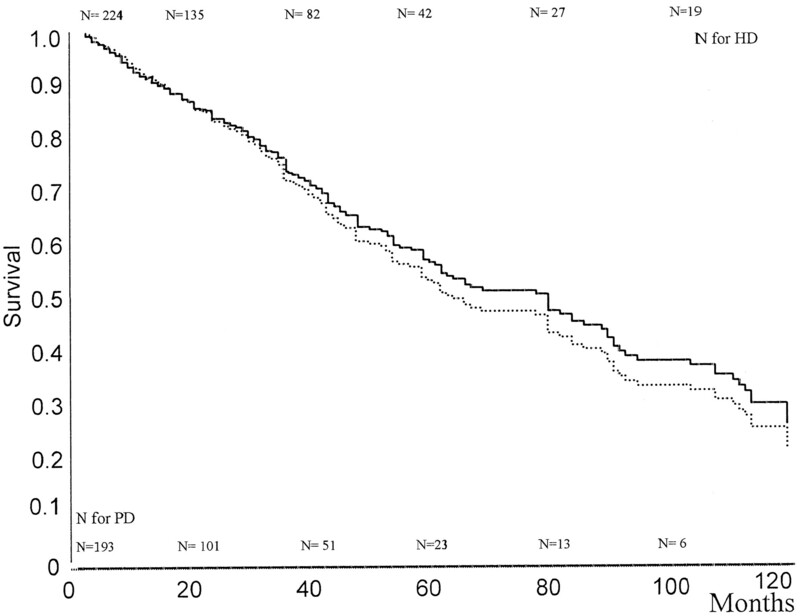 aTotal survival analysis was censored after 10 yr of follow-up (limited) or not (unlimited). P values are derived from T statistics. Relative risks (RR) are given for the presence versus the absence of the indicated comorbidity factor, unless stated otherwise between the brackets. Significant P values are printed in bold.